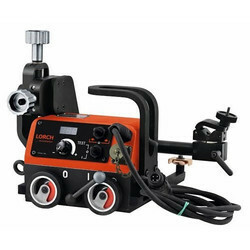 Pioneers in the industry, we offer lorch welding automation system and auto welding machine from India. With Lorch Welding Automation System, you need not purchase a system with components and functions that you will probably never use. Cost-effectiveness for us means that you only pay for what you really need for the automation of your welding task. Therefore, you can configure your automation package from the Lorch construction kit exactly in accordance with your requirements and add to it at any time with additional module components. Lorch offers a comprehensive new solution that enables especially mid-sized industrial enterprises to implement welding tasks in a highly cost-effective and efficient manner. Lorch bundles its automation activities in Lorch Automation Solutions (LAS). The products offered by LAS now include a new family of welding carriages that are ideal for long, continuous weld seams. 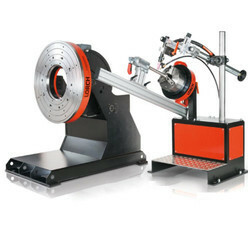 Looking for Welding Automation System ?